School Membership - Cyber-Seniors : Connecting Generations Inc.
MENTOR TRAINING PROGRAM – Video lessons, quizzes, learning activities and discussion forums teach teens to become effective Cyber-Seniors Mentors. Suitable for classroom or individual training. 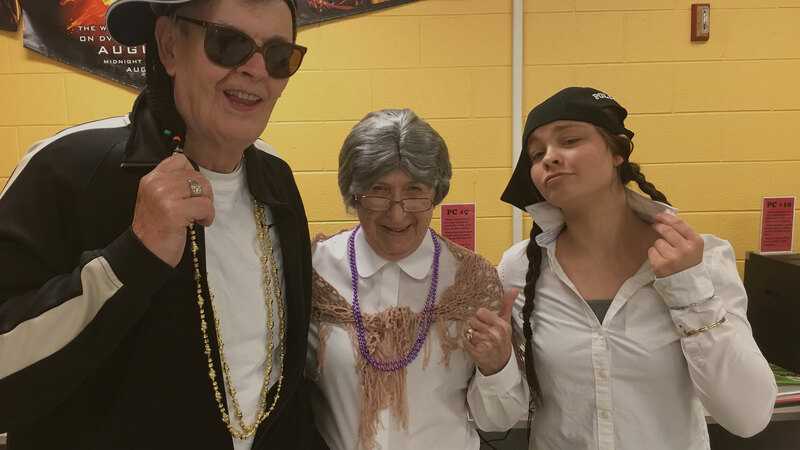 SENIOR RESOURCE AND TRAINING CENTER – This teaching platform provides teens with ideas and suggestions to make learning a fun, interactive experience for older adults. Teens and Seniors work together to watch informative training videos, surf interesting websites and engage in entertaining activities. Mentoring time is automatically logged by the system to support curriculum and service learning requirements. ADMINISTRATION AND MANAGEMENT TOOLS – Teachers and program managers are able to manage, measure and run reports on the impact of their Cyber-Seniors program to support curriculum objectives, program evaluation and fundraising. CYBER-SENIORS DOCUMENTARY – This award-winning film is the inspiration behind Cyber-Seniors. Access to the film along with educational resources facilitate classroom screenings that meet a wide array of middle and secondary school curricula. Senior Resource and Training CenterA teaching platform with over 1200 tutorials and activities to make learning a fun, interactive experience for older adults. Provides 1 Administrator login, 30 Mentor logins and unlimited Senior logins. A teaching platform with over 1200 tutorials and activities to make learning a fun, interactive experience for older adults. 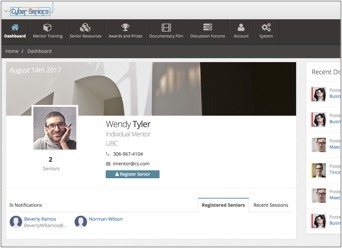 Provides 1 Mentor login and unlimited Senior logins. Your Cyber-Seniors account is almost ready. Please specify type of organization. How did you hear about Cyber-Seniors? Please specify how you hear about Cyber-Seniors. Please review your order and click on Proceed to Payment to complete it. Note that we have partnered with Techboomers Media Inc. to provide some content for this site. Some content provided by Techboomers may be part of an affiliate program for which Techboomers may receive compensation for products and services sold. Other products, however, are commercial entities with which Techboomers Media Inc. has no direct affiliation. In either case, Techboomers Media Inc. have personally researched and tested each of the products that they have provided information for to ensure that they are trustworthy and safe for our users.